The desire for personalization isn’t new, but as individuals grow more empowered with an increasing number of options available, the pressure to deliver a frictionless, empathetic experience increases in parallel. This power shift is occurring across healthcare. 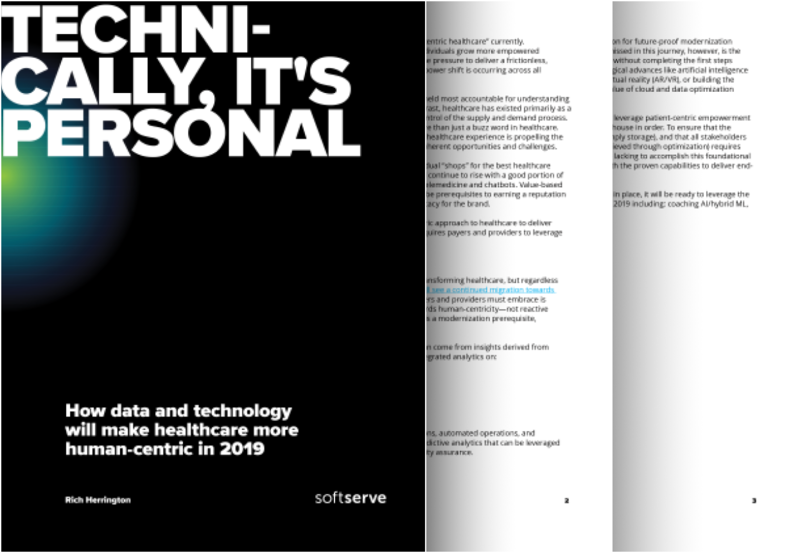 How does a company achieve a truly human-centric approach to healthcare to deliver exceptional experience and personalization? It requires payers and providers to leverage the very thing that is empowering patients—data. We look at some of the latest digital trends that are set to affect the ever-evolving healthcare industry in 2019, and key mistakes to avoid when applying technology to your business.